You must make reservations at least 5 minutes in advance of the time at Blue Ribbon Sushi Bar & Grill - Red Rock Resort. Blue Ribbon Sushi Bar & Grill is located in Red Rock Casino Resort & Spa. We offer a full menu of Japanese cuisine including sushi and sashimi and Japanese specialties from our hot kitchen. Seating is available at our sushi bar, at our indoor/outdoor cocktail bar, in our dining room, and at our outdoor Kanpai Beer Garden. 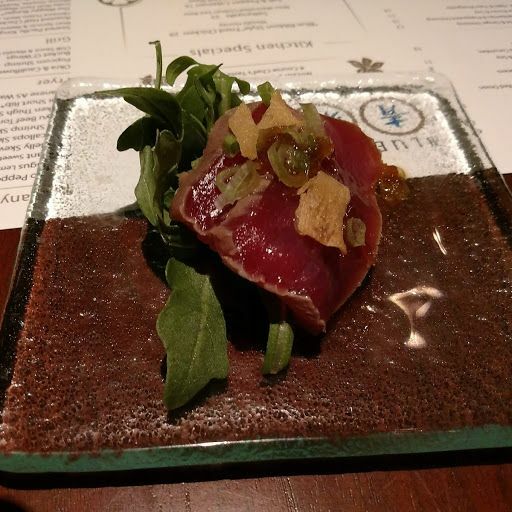 We offer an extensive wine, beer, sake and cocktail list to complement your menu choices. As always nice to be there. We had sashimi and sushi combo with a couple special rolls. The food was great and service is excellent. This is one of our favorite spots and we recommend it highly!! This was our first time and the server was super friendly and helpful. We tried the tasting menu so were at the mercy of the chefs. Most of the food was excellent and some dishes were outstanding. The fish was super fresh. Some items we didn't care for not because they weren't good but just because they aren't to our taste. Overall, we really liked the experience. 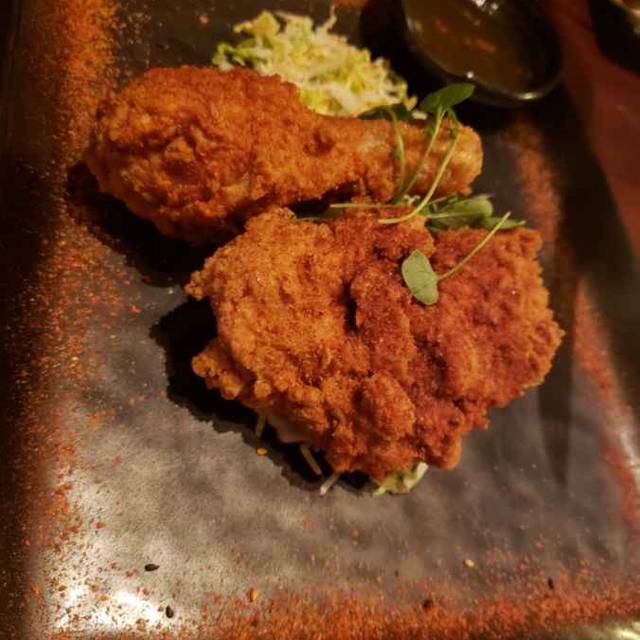 We didn't try their famous fried chicken or oxtail fried rice; but that is on our list for next time we go. Sushi a bit better than a average. Rolls average. Eggplant was great. 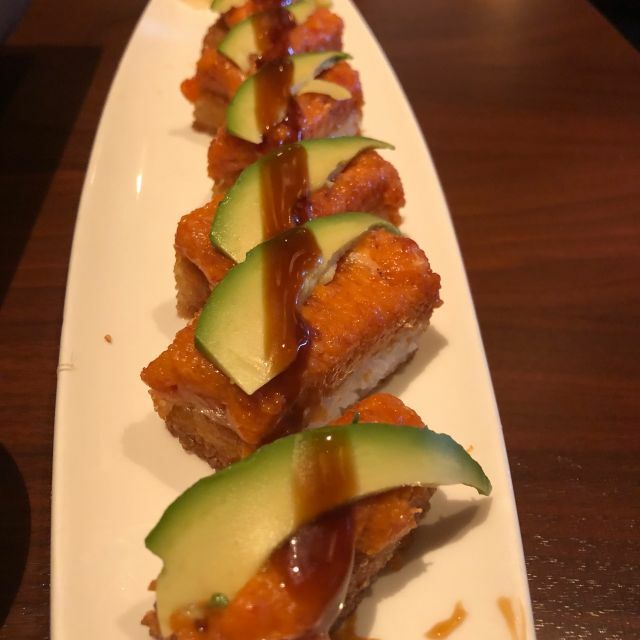 The best sushi and Japanese food in Vegas! 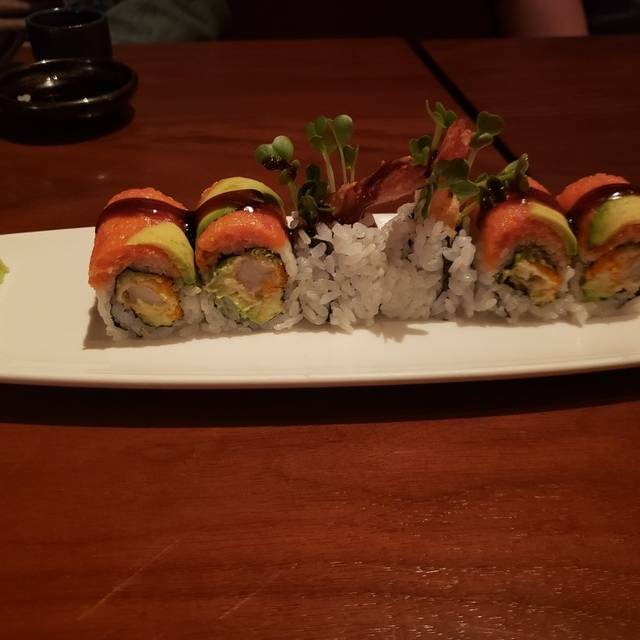 The service is top shelf and the food is another level from the next best sushi in Vegas. We had a filling amazing meal! We are very glad that a great Japanese restaurant has come back to Red Rock Casino. The food was delicious and our server Terry was amazing! Not enough waiters when really busy. Sushi was very fresh. Wait staff very professional. Overall decent experience. However when I’m paying white linen price how about provide me with a linen napkin not paper. That’s a real turnoff for us. If you’re that cheap what else is cheap? Also more ice in the drinks. Stuffed lobster and crispy rice are must do. House Sake was actually tasty. We’ll be back. My husband and I went here for a date night. We were craving sushi but ended up getting the Chilean Sea Bass and the Wagyu Burger. Both were outstanding. My favorite was the Sea Bass, it melts in your mouth and is a must try. The service was fast and extremely friendly. I highly recommend this restaurant. The chicken and oxtail fried rice were wonderful. The chicken had just enough spice in the breading and the meat was very juicy. The fired rice is different without the usual vegetables in it. It had a creamy flavor due to the bone marrow that is mixed in. The stars of the meal were the small plate appetizers, the pork belly and grilled shrimp. They were spicy but not so hot you couldn't eat them. I could have made a meal of several of those. The hot food here is better than sushi. We had a few small skewers - miso eggplant (very good), scallop (outstanding), pork belly (outstanding), fried chicken wings (fair), asparagus (good). Their Blue Ribbon junmai sake was fair considering $13 a small glass. We had the sashimi/sushi combo and it is fair. Sashimi part was good, ordinary but fresh. The most disappointing part is the sushi. The sushi rice was a complete failure - hard and cold, and under seasoned. Any sushi chef would tell you what makes a good piece of sushi more than anything is the rice and Blue Ribbon did not deliver here. Loved it! Amazing food and atmosphere! Sushi was amazing and can't best the blue ribbon chicken wings! On the fence. We might give it a try again in a few months...but over all we didn't love our food or experience. Sheela's service timing is on point, professional, and inviting. The sashimi platter offers popular selections and is a great value for two persons to share a filling meal. Hubby and I have added this venue to our date night list. Food was pretty good, love the atmosphere. Service was very slow and we had to flag the server down a few times and wait for our drinks and a dish was missed off with kitchen order. The restaurant may want to make sure enough servers are on a shift to properly service the customers. The food is always delicious here. I tried the Wagyu Burger and it was outstanding. Sushi is always great and the Oxtail Fried Rice is the best. This is my second time back. 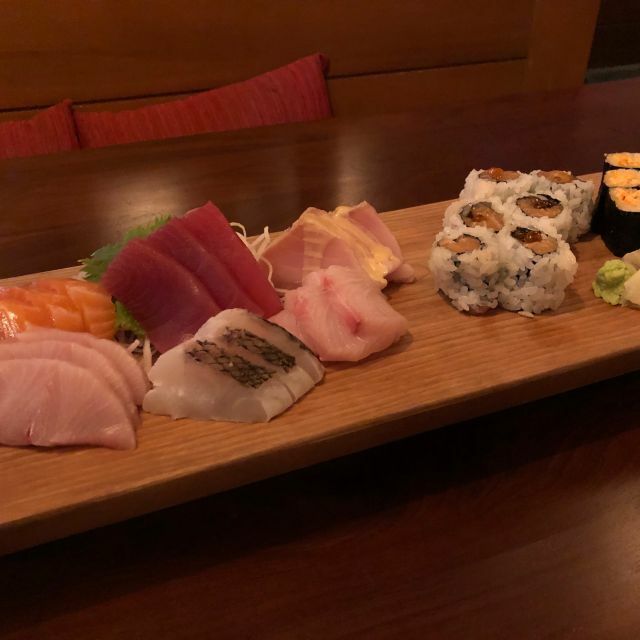 They continue to have outstanding service, quality Sushi (gives the strip a definite run for the money) and great happy hour menu items. I was by myself this time, and was not pushed or forgotten about. Nothing but GREAT things to say about this restaurant. Newest gem in Summerlin! The food and service is outstanding, it’s the noise level that gets to us old folks. First time there and what a great experience! Food was excellent, great quality and lovely presentation. Service was outstanding. Best new sushi restaurant in Summerlin! Blue Ribbon restaurant was a real find, we booked in advance as the place always seems busy, even though the place was rammed the service was excellent, our server made great recommendations and the food was outstanding. 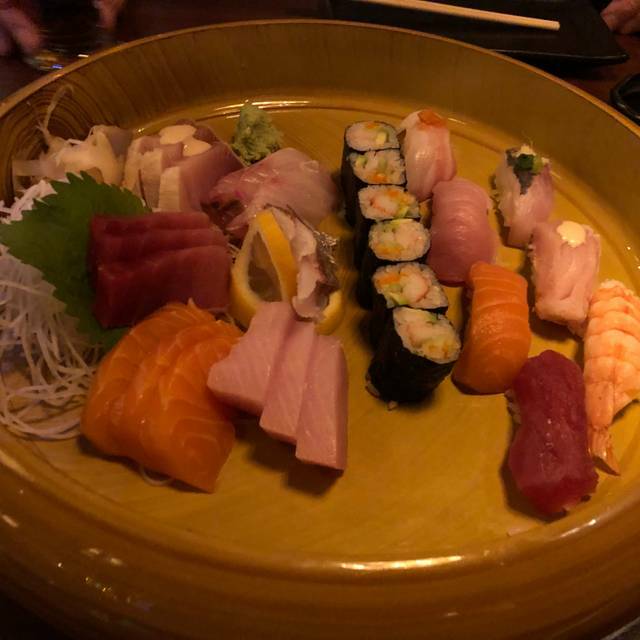 The best Sushi we have had since moving to Las Vegas 6 months ago. I would certainly recommend this restaurant to any of my friends / colleagues. Booking essential! Incredible sushi, fried chicken, and service. What else do you need? Too expensive for the quality of food. We are avid Asian food fans and will not recommend this restaurant. Sushimi was fresh and really good. Specialties were really different. The service was good. Restaurant is really fun and super cute. I will definitely go back. Great experience, nice environment, place not noisy we were able to hear ourselves talking. Service was great and food too. 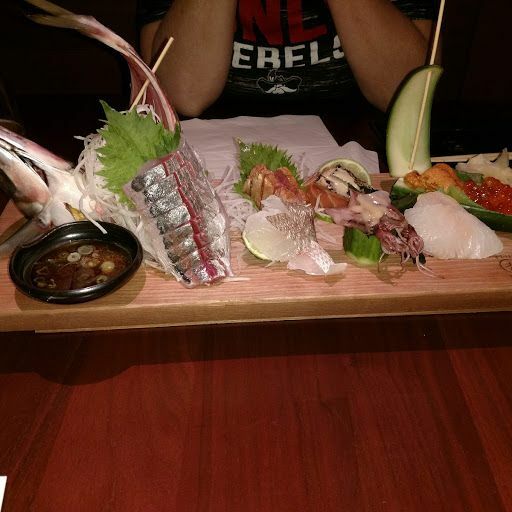 The lobster sashimi was excellent as well as most other items we ordered. The oxtail fried rice was not as good as we had anticipated. The tidbits of meat was on the tough side. The thing that greatly surprised us was the piped-in music. We would not have ever, never ever imagine we heard Latin music in a Japanese Sushi House. That took away the fifth star. Great sushi and other food like waygu burger. Fantastic service. Some seats are not comfortable, be sure to be seated at the more comfortable chairs or benches. The service was really exceptional - no "that's not my table attitude". All the staff were there to serve and please. The food was delicious and, although the prices are not cheap, the food is well worth the cost. I had the spicy tuna handroll, and it was perfectly spiced and beautifully presented. This is probably the BEST sushi in Vegas! My boyfriend and I enjoyed our overall experience. We started with a house salad, loved it! Then we had wagyu which is phenomenal. Then we moved to "crispy rice"... omg good! Then we had "bucket of wings" honestly the best fried chicken we ever had! Not greasy, crispy perfection. So much flavor!! The wasabi honey dipping sauce was amazing. Tiger room was delicious, loved the flavor. Everything was ridiculous! Wonderful experience! Will be back soon!! Very creative & varied menu. Great selection of sake. Wonderful & helpful service. The food is excellent. Service too. The music can be annoying because it's a small space and it can get noisy.